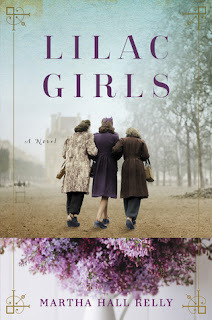 This week I finished reading Lilac Girls by Martha Hall Kelly, a fabulous book about World War II. It's the story of 3 ladies (Polish, German and American ) that intertwine into a great novel. Look out for my review soon- and pick up this book! I also finished reading "Origin" by Dan Brown. The latest installment in his "Robert Langdon" series, this one knocked my socks off! I finished the book in less than 24 hours- not usual for a 400+ pages novel- and desperately wanted more! I should have a review out sometime next week. 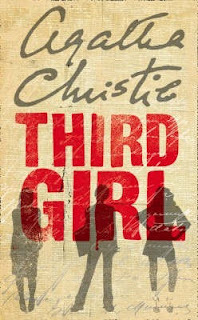 I am currently reading "Third Girl" by Agatha Christie, which is a novel from her famous "Hercule Poirot" series. I'm a huge fan of Christie and was therefore super excited when I came across a Poirot that I hadn't read. How have your reading weeks been? Let me know in the comments below, or add a link to your post- and I'll be sure to visit your blog. Hope everyone's enjoying their winters (or summers)! Nice assortment of books. I want to read Origin but am buried in review books right now. Come see my week here. Happy reading! I took a break from the review books for a while, it was just too much pressure. I read some of my own books and I'm back at it again now! I too was knocked by Origins which I didn't read as quickly as you, but quickly enough for such a large book. I had been feeling a bit blah about the series after the last book, so it was surprise to love this one so much. I wasn't feeling great about Inferno either, although I did enjoy it (possibly because I read it before Angels and Demons). I can't believe what a great comeback this book was! I really enjoyed the beginning of Inferno and I did a tour in Florence based on the locations he talks about in the book, but the second half bored me. Oooh...all great books, I've heard! I loved Agatha Christie when I was in high school and would love to read her novels again. 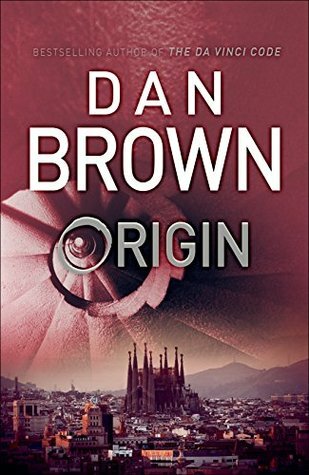 I can't believe you read Origin in less than 24 hours! That's amazing...must have been good. Sounds like my son when school ends! As soon as school ends I'm a reading monster- that's before I realize how much holiday homework I have to finish of course! I was surprised when we heard about it- couldn't believe that I hadn't picked it up! I love Dan Brown stories... when they are made into movies! I can't read him LOL oh well... I gave up trying to understand my reading habits! :) I already commented about Lilac Girls. Can't wait to read it! Yeah, I understand that. We all have our weird quirks when it comes to our reading habits. I have specific times when I enjoy Agatha Christie's, otherwise they seem boring (I don't know how)! I'm a couple of months behind in commenting back! I'm sorry! I am doing my best to catch up though! I went off on a pretty unscheduled hiatus and so... Yeah. Sorry again. I need to try Dan Brown - can you believe I haven't yet? Hope you have a great week and hope to keep up with everything over the next couple of weeks ! Wow, you definitely need to try Dan Brown! He's not an amazing writer, but his storylines are quite interesting. Don't worry about catching up- Clearly I'm trying to catch up as well!